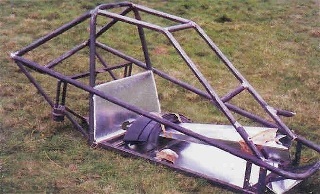 The Blitz 1 buggy was designed for self-assembly by a complete novice. 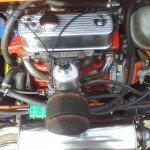 The mechanical basis for the Blitz is the good old Fiat 126, suitable models from 1978 to 1987. This diminutive little runabout has sold in its millions throughout Europe, and second hand can be had from as little as £50 to £300 for a really good example with a MOT. Although a lethargic performer in standard form unencumbered by the weight of the Fiat body, the 126 becomes a little flyer, offering a rear mounted 24 bhp 652cc air cooled engine, independent front and rear suspension, a four speed gearbox with reverse and rack and pinion steering. The instrumentation features a speedometer, fuel gauge and warning lights etc. Stopping power is equally impressive with dual circuit hydraulically operated drum brakes on all four wheels. Spare parts are readily available from 250 Fiat dealers nationwide and Blitzworld. 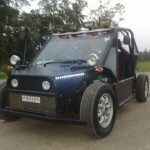 The Blitz off road buggy is an accomplished performer whether blasting along dirt track, an open field or climbing a steep slippery slope. The Blitz takes it all in its stride with abilities to spare. Its lightweight nature and all round independent suspension soaks up the cruellest of bumps on the roughest of surfaces. The rear engined, rear wheel drive layout ensures that the Blitz really digs its heels in when the going gets tough. It even has a place specifically for the spare wheel. 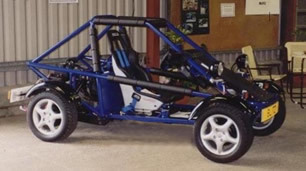 The Blitz structure is immensely strong and of space frame construction featuring a fully integrated roll over cage, (in case the worst should happen), and is constructed from M.I.G. welded 42.4mm diameter x 3.0mm GHS to BS EN 10219 - 2 steel. It is fully jig drilled and bracketed to ensure a straight forward transfer of components from the Fiat 126; for example the engine, gearbox, suspension, steering, petrol tank, instruments and pedal assembly etc. 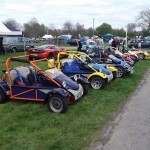 The BLITZ off road kart is extremely car like to drive, and therefore educational. Not only does it save a small fortune by doing the assembling yourself, but it also gives your assistant/offspring a far greater insight into the workings of motor vehicles than simply sitting in a ready made buggy and driving it. The Blitz also teaches them the skill of gear changing and clutch control giving your children advance knowledge before risking them with the family pride and joy. The above diagram shows the 4 assemblies required to put the Blitz 1 on the road (you only need the chassis and the donor car for off road use only).